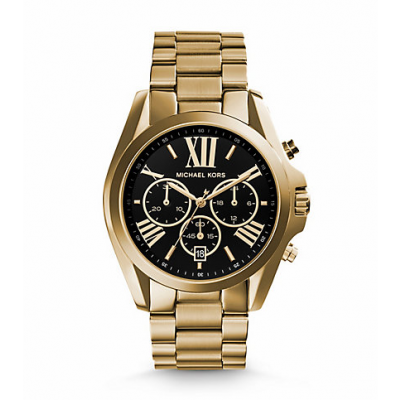 We designed this refined rendition of the Bradshaw watch in a glossy gold-tone finish with a contrasting black dial. Chronograph detailing and Roman numeral time-stops lend classic appeal to this piece, for the perfect mix of sophisticated and statement-making. Whether you slip it on solo or with a chic stack of metallic bangles, the result is timeless.